I’ve already delved into three particular aspects of Fitz and Simmons’ characterization that I absolutely adore. Their relationship is an important aspect of what makes them such exceptional representations of scientists in science fiction. Their lack of powers or physical prowess leaves them vulnerable but far from helpless. And their refusal to adhere to gendered expectations already contextualizes their relationship as unconventional. Everything from genre, to style, to gender politics plays into what I love so much about their affair and the characters individually. In addition, their rejection and subversion of romance tropes in fiction kept their storyline fresh even as it was of peripheral importance to their role within the series itself. 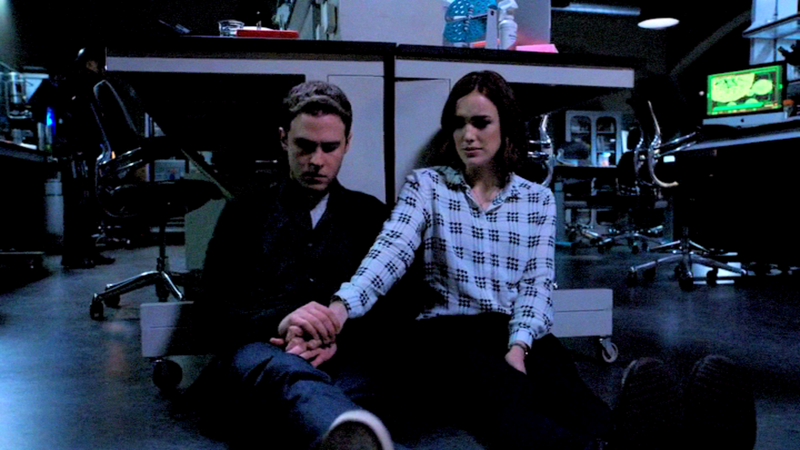 FitzSimmons’s relationship, like everything on this series, starts off rather blandly. That’s not to say that the two of them are awful, and on rewatches their first season squirreliness is heartwrenching. But, before the first season finale, they were just a cute if stereotypical presentation of two awkward nerds who kind of have a crush on each other. That finale is the turning point. (That finale is the end of my life.) I vividly remember the first time I saw it. 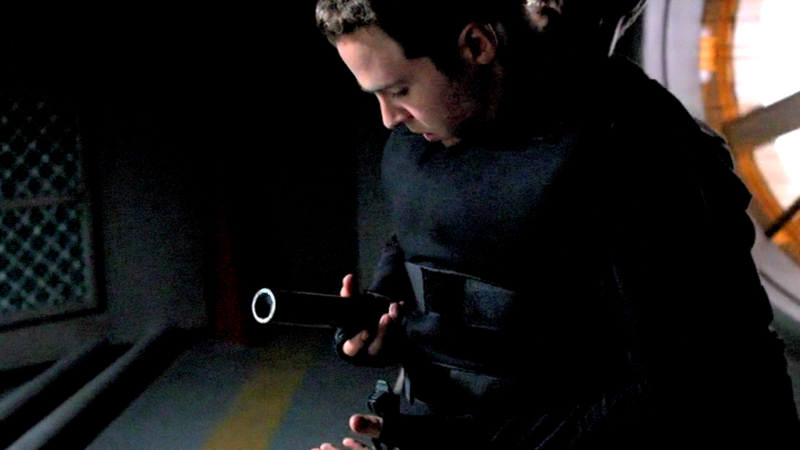 I had given up on Agents of SHIELD for the fifth or sixth time a few months before, but my obsession with Winter Soldier and my affection for Fitz and Simmons led me to marathon the last seven episodes all at once. I was at work. I was so gutted I had to to take an early lunch and just sort of sit outside on a bench. I literally felt like I’d been bludgeoned. My headspace was as foggy as if I’d been concussed. So how did they do it? How did they take some cute triteness, turn it around, and stab me in the heart? Let’s explore! Fitz and Simmons are a bit pointless before the show gives them room to expand on their relationship in “FZZT.” The best part about that episode is that it’s clear that there is history between the characters instead of them suddenly realizing that hm, maybe they suddenly like each other. For me, history is absolutely necessary before I go for a romance. That history can build for a while during a story or it can come prepackaged if subtle. Over the course of the first season it becomes clear that Fitz and Simmons have essentially always been in love but refused to call it that and willfully ignored it. On the verge of death, Fitz finally expresses his feelings. If Simmons had kissed him on the lips, immediately verbally reciprocated his affection—if she had done anything like what you would expect when someone declares their love on a TV show—then it still would have been cute trite nonsense. But she did this. She kissed his face. All over his face. She accepted his affection without overtly reciprocating it. She left space for them to emotionally navigate their relationship in a less fraught situation instead of leaping into a conventional romantic space. Neither of them openly declared anything because their relationship was already in such a liminal space between defined friendship and defined romance that words are inadequate to express it. Kissing his face was a loving gesture without a predestined resolution. It left dramatic potential open without precluding a prescribed outcome. It took them from your generic cuteness to a-whole-nother level of dramatic intensity because it averted the usual choices of reaction in that situation. Rather than a predefined romantic arc, Fitz and Simmons cleared their own space for their own story. There’s a bit of a narrative gap still between the first and second seasons, but the implication is that Simmons—utterly incapable of expressing her emotions directly—not only tried to help Fitz in his recovery but Fitz continually misread it as rejection. Hypoxia affects a person’s ability to accurately express, gauge, and regulate emotion. Combine that with Simmons’ roundabout way of talking around things and the fact that he essentially was her social lubrication when she behaved strangely and, well, it’s a recipe for disaster. Taking someone out after they’ve been in the hospital for months is not the action of someone weirded out by their friend’s feelings (3×03). Simmons rationalizes everything, and my theory is that she managed to think herself out of admitting just what exactly the enormity of her feelings for Fitz meant, especially when faced with the fact that her presence made him actively worse. It’s particularly interesting that, when Simmons returns from being undercover with Hydra, she speaks to Fitz exactly as his imagined version of her does, yet he snaps at her and accuses her of treating him as if he’s useless. A broader facet of their relationship is that they continue to relate to each other about things other than their emotions. Their disagreements during the second season are all plausible and largely unrelated to their relationship. While I find Simmons’ suddenly viewing her scientific expertise as negative in 2×11-2×15 to be absurd and think that viewpoint is exclusively inserted to create conflict between Simmons and Fitz, that their disagreement is unrelated to their unspoken feelings grounds their affair more thoroughly. Sure, they won’t talk about how they feel, but the thing keeping them apart moves from personal problems to ethical issues. Its only when confronted with the even larger upheaval of “Real SHIELD’s” infiltration of their base that they realize how petty they are both being. Once back together, they stop intentionally misreading each other’s behavior and readjust their scientific ethics. My absolute favorite thing about how Fitz and Simmons’ relationship was portrayed before season 3 was that it wasn’t endgame the way a lot of television ships are. They didn’t tease the audience with flirtation and unresolved sexual tension at every opportunity. It’s certainly presented in a dramatic fashion, yet their troubles are realistic and legitimate rather than contrived. Instead of being “endgame,” their relationship is a process and in-progress the way human relationships actually are in real life. This always suggested that they could be together and still fulfill their function within the series without experiencing Shipping Bed Death because (pre-season 3) explicitly romantic tension between Fitz and Simmons was never a thing that Agents of SHIELD relied on to keep the audience invested. Rather, the two navigating their own emotional weirdness until they could come together was less melodramatic shiptease and more slow-burn, background enhancement. A central aspect of Fitz and Simmons’ relationship is that they are presented as deeply in love in an almost exclusively emotional space with little physical relevance. Neither Fitz nor Simmons comments on the physical attractiveness of the other until a full two and a half seasons have passed. Then its Simmons who notes that she found Fitz handsome when they first met—but only in a video that she made addressing him when she was nearing death. Where the vast majority of TV ships rely on sexual tension even when Fitz and Simmons admit that they have strong feelings for each other they continue to relate in a personal rather than a sexual space. Sexuality is considered the default expression of romance. Most mainstream fiction insists that sexual relationships are the pinnacle of human interaction, more valuable than friendship, non-sexual love etc. The lack of sexuality in their relationship isn’t presented as detrimental, nor does it devalue their interactions. Even as they relate to each other in a physical space appropriate for five-year-olds, there emotions are validated by the narrative to the point that they are the series’ main romance. I can count the relationships in mainstream media that even approach representing asexuality on one hand. 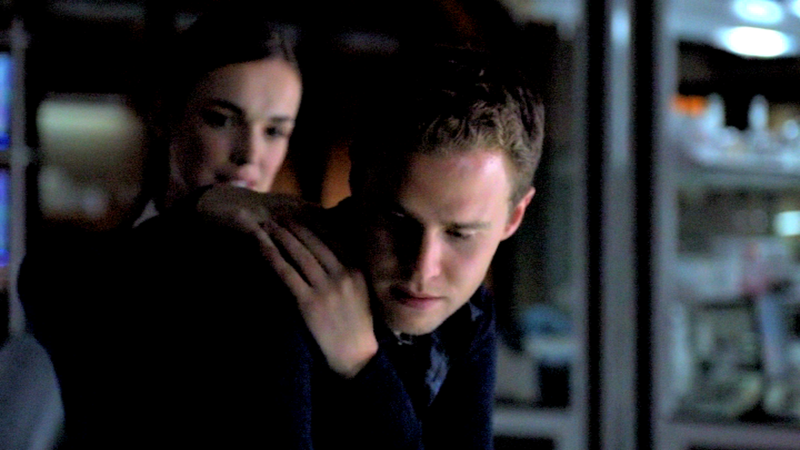 Oh look, there’s only FitzSimmons. I’m particularly fond of their refusal to explicitly state, name, or label their feelings. This largely stems from the inverse gender dynamics of their relationship, with Simmons in particular incapable of freely expressing emotion. The closest Simmons ever gets to actively expressing that she loves Fitz is in that same video she makes while dying. There must be a high level of mediation between Simmons and Fitz before she feels comfortable enough to express herself and even then she can’t spit it out. Even expressing her desire to “talk about it” results in them skipping directly over actually talking about it in any way. It’s as if, because the word “love” is applied so frivolously to your average declarations-and-makeouts relationships, that Fitz and Simmons have surpassed being able to use it. Their affection for each other comes from a place of deeply held friendship and familiarity that automatically affords them the closeness of people who have been together for years, even before they get together. Their friendship and their love affair are so close to the same thing that to shift it from one space to the other should not change their role in the series at all. It’s narratively common at this point to only allow characters to requite their love affairs so that one of them can be immediately killed in order to emotionally destroy and motivate the other. If you’re watching a television show and your ship finally gets together, the odds are that tragedy is about to strike simply because that would elevate the emotional beats. For me the strategy is completely useless at this point. I’m so cynical that a much-anticipated kiss will make me check out. Agents of SHIELD has teased this trope at least three times: Fitz’s brain damage in the first season finale, Fitz in the fight with Gordon, and Simmons getting swallowed by the monolith all happen immediately after declarations of love. The continual subversion of this expectation is one of the things that always had me calling Agents of SHIELD a trope-busting powerhouse. Now, none of this is to say they are asexual, it’s that sexuality is not the most important aspect of their interactions. I always said it would take a lot of work for them to move their relationship to a place where I’d even be okay with the two of them kissing. Rather than do that work, the series opted for some lazy shorthand by inserting a traditional romance and romantic obstacle directly in their path. Forcing Simmons into the role of romantic heroine in accordance with normative romance tropes is an instant injection of romantic trappings that neither character had ever exhibited before2. A large part of what made Fitz and Simmons’ weird-romance-thing so delightful was that it never consumed the story. They still fulfilled their function as exposition and plot grease while their relationship was an enriching but never central aspect of the story. It was deeply important for them and for their characterization, but it was always a background event to the main plotline. It would occasionally surface, for example when Fitz and Simmons collude to steal Fury’s toolbox without saying a word, but it was never the most relevant item, and it was never used exclusively as the characters’ main source of conflict. Enter season 3, where their relationship is under a microscope. What was once a subtle, nuanced warmth is warped into your typical melodramatic soap opera fare. There’s a principle in physics called the observer effect. Essentially, this means that by observing a phenomenon you fundamentally change the phenomenon in question. 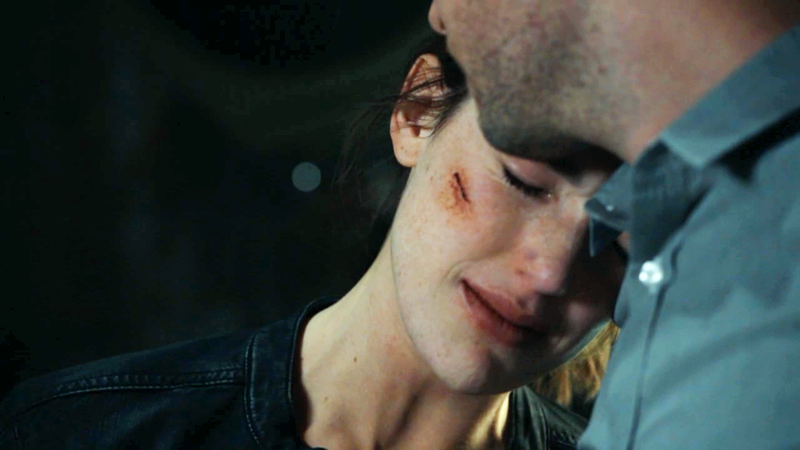 That’s what happened to FitzSimmons in the first half of the third season3. The strange love affair between the two existed almost because the narrative never paid attention to it. To put such intense focus on it (rather: to observe it) stripped their relationship of its nuance and exploited it in a way that ignored all the carefully constructed dynamics in favor of easy, lazy melodrama. Let me translate some Simmons-ese for you. That sandwich? Definitely “come back to me” every time. “You’ll be careful,” is the ultimate “come back to me” without actually saying it. That’s why 3×09 is the epitome of Simmons-style frank talk. Their relationship was previously such that, to shift the perception of it into a romantic space should not technically change anything about the cast dynamic or narrative presentation. They were already so close that it simply should have slightly changed the timbre of their interactions rather than completely blowing out the entire plot. Emphasizing their romantic relationship not only forces it into a space of definitive labels and harshly normative dynamics, it sets a bad precedent for using their relationship as a key driver of conflict in the series. Frankly, letting their thing simply occur on the sidelines whilst everyone also got on with the big alien mysteries was much preferable. Agents of SHIELD, please fix it. 1I am well aware of the complex and shifting politics of the term “queer”. I use it in this context to refer to a representation of sexuality that defies the accepted social norm, particularly in the highly normative medium of television. I am also aware of the debates over whether asexuality “deserves” to be included under the label “queer” as its not an identity that is easily visible and hence not as readily discriminated against. Basically, I am aware of the myriad ways the usage of this term in this context will be considered problematic. I’ve heard your arguments. 2 I’d like to note that I found their actual kiss strange, forced, and misplaced. In 3×07 the pair regain an emotional resonance. By 3×08 when they actually kiss, it’s gone again for me. Plus, all of the advertising stated ahead of time that their kiss would happen which doubly ruined it for me. Additionally, the series’ treatment of Fitz’s traumas in contrast with Simmons’ is bizarre and dismissive, allowing Fitz to work through his troubles but making Simmons shrug off isolation and PTSD under the cover of romantic drama. Fitz is allowed character growth while Simmons is shunted into prescribed gender roles. I am forever salty about this. 3 Now accepting nominations for Biggest Dork in the Universe for this metaphor.